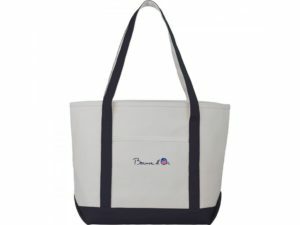 Official tote of the Bocuse d’Or Team USA. 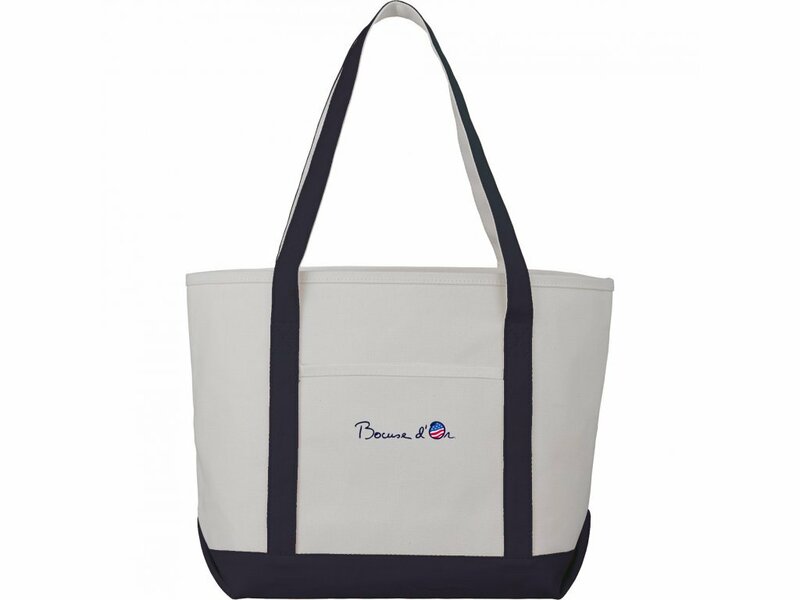 Always a classic, this is the official tote of the Bocuse d'Or Team USA. Convenient and durable, this canvas carry all is in a natural twill color with navy blue contrast handles and contrast canvas bottom. It features an exterior pocket for easy to find items. This entry was posted on July 27, 2017 by Young Yun.